Elections Commission (EC) has made a request at the Home Ministry and the Maldives Police Service to stop the MDP primary for the Presidential Election. Member of the Elections Commission, Ahmed Akram said that MDP sent a letter to them assuring that their primary election would take place within the law. He said that a request was made yesterday via letters to the Home Ministry and the Police requesting them to step in and stop the MDP primaries if it is taking place outside the law. 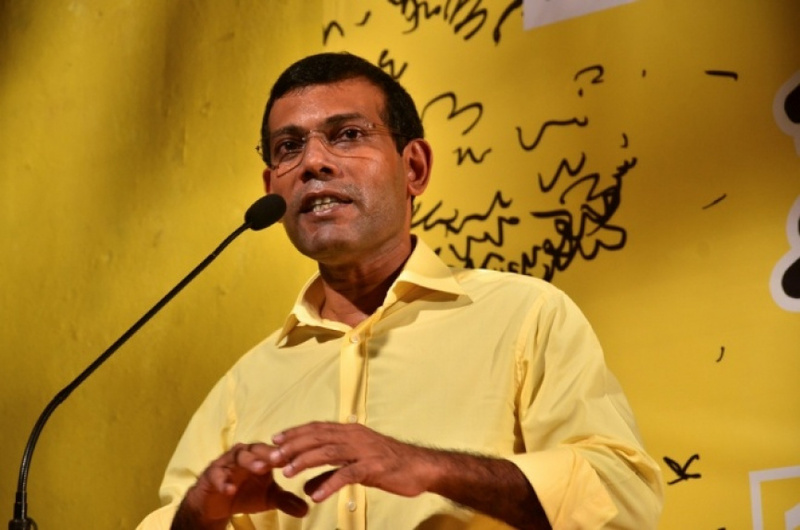 Akram said that he still hopes that MDP would hold their primaries within the law. About a week ago, EC sent a letter to MDP regarding their primaries stating that the former Preisdent Nasheed is not eligible to run in the Presidential Election as he is currently in under a prison sentence under the anti-terrorism law and that EC would not accept a primary election with such people. EC said that if the Ex-President Nasheed is allowed to run in the election, they would take steps against MDP under Articles 31 and 49 of the law of political parties.